One of the most innovative and interesting pedals to come out at NAMM 2018. JHS have absolutely knocked it out the park with this one. 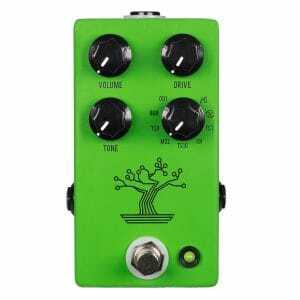 Following on from their own pedal released in 2015 called the Muffuletta -which packed six different Fuzz circuits into one pedal- the Bonsai packs nine (yes nine!) different classic Tube Screamers into one unit. With just a simple rotary dial on the bottom right, you can switch between nine unique circuits that conjure up various vintage, one of a kind or downright rare Tube Screamers. This was no mean feat, it took JHS three years of painstaking research and development to create this. 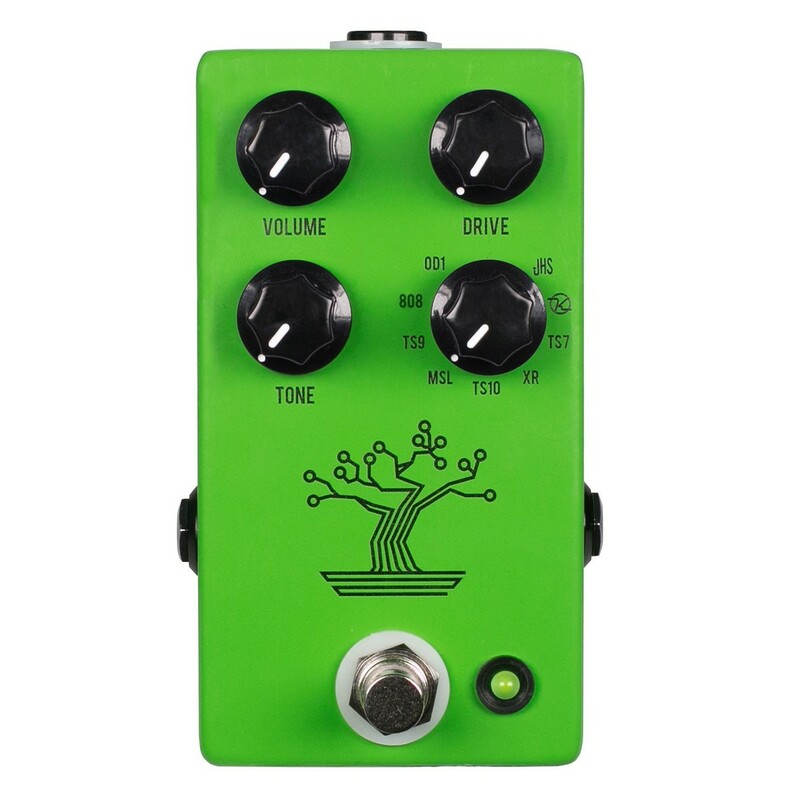 An overall brighter and slightly higher gain mode that does not utilise the Tone knob. This mode also inverts signal just like the original and has symmetrical clipping. The OD-1 is magical at boosting other drives or amps into singing saturation. Our own mod we’ve been doing since 2008 is much cleaner and overall more powerful. The mode has more pronounced higher end and low end drop offs. The Bonsai is released in March 2018, Pre Order here.